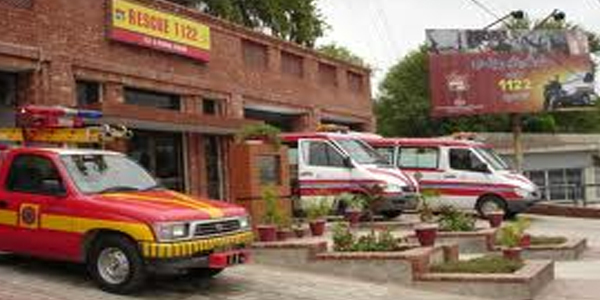 The Punjab Emergency Service Rescue 1122 Rawalpindi received 14 ambulances fully equipped with life saving equipment including ventilators, automated external defibrillator (AED), cardiac monitor, oxygen delivery system, BP apparatus, nebulizer, glucometer, suction unit, and medicines. Rawalpindi District Emergency Officer Dr Abdur Rehman thanked Director General Dr Rizwan Naseer for purchasing new ambulances. “The rescue staff is always ready to provide all possible emergency care to the citizens around the clock and now the service will be provided in a better way after getting new ambulances,” he added. He urged the citizens to call 1122 in case of any emergency and give way to emergency vehicles so that the victims of emergencies could be shifted to hospitals within the shortest possible time and precious human lives could be saved.